All Bentonville homes currently listed for sale in Bentonville as of 04/22/2019 are shown below. You can change the search criteria at any time by pressing the 'Change Search' button below. If you have any questions or you would like more information about any Bentonville homes for sale or other Bentonville real estate, please contact us and one of our knowledgeable Bentonville REALTORS® would be pleased to assist you. "AMAZING PROPERTY, VIEWS AT 360 DEGREES, 66 UNRESTRICTED ACRES WHICH BORDER ADDITIONAL 200 ANDY GUEST PARK, SOME REMODEL, NEW HEAT SYSTEM,NEW FLOORING 3 LEVEL BANK BARN, RUSTIC FARMHOUSE FULL OF CHARM, IF ONLY THIS HOUSE COULD TALK! PERFECT FOR FARMING, ENTERTAINING AND FULL TIME LIVING, VDOF PLANTED OVER 1300 TREES WITH INCOME, SITS MAJESTICALLY JUST MINUTES FROM TOWN SLICE OF HEAVEN!" 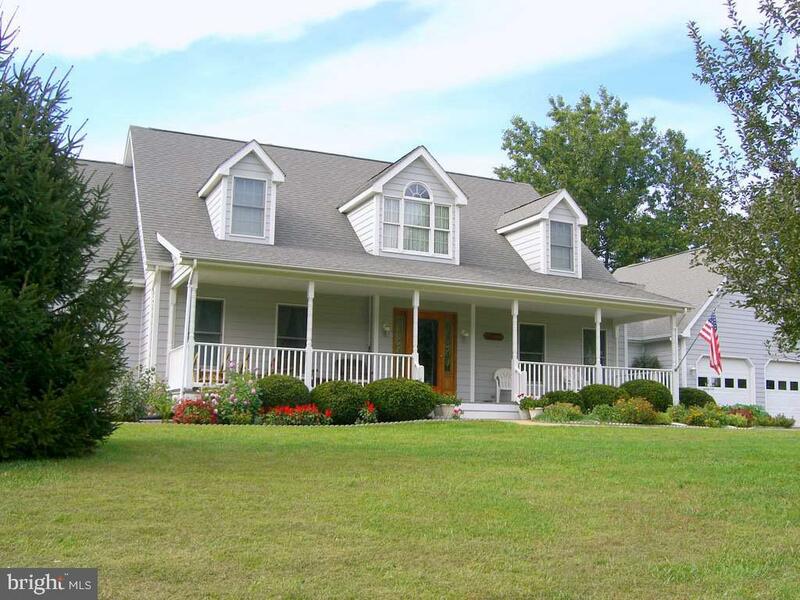 "Well appointed, quality built custom home on 7.87 acres. 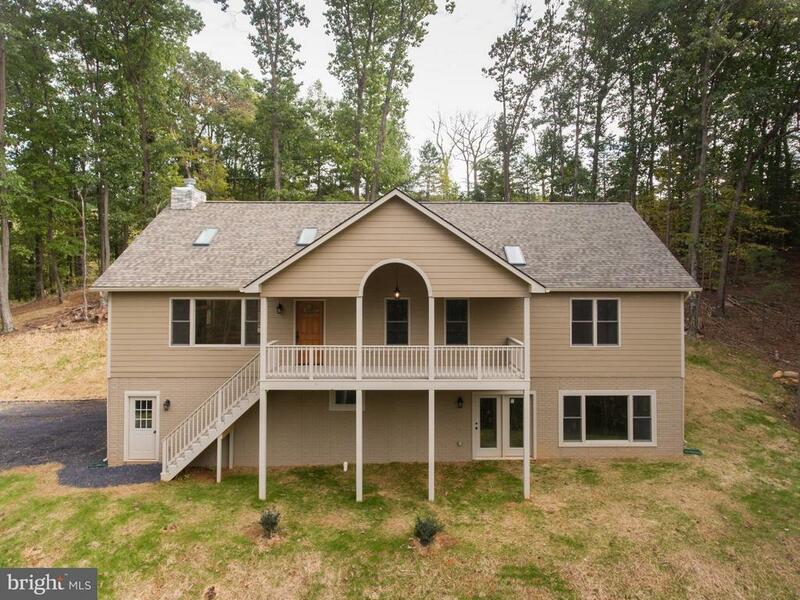 Local custom builder built this home for himself and has decided to sell it. Generous upgrades include granite counters, 10 foot ceilings, vaulted ceilings, stone masonry FPL. LP smart side trim & siding, HW floors, ceramic tile floors, and many more upgrades. Open and spacious! additional lot of 3.75 acres (it has its own 3 bed perc) bringing the total to 7.87 acres. The tax number of the house lot is 43 42B2 and the adjoining lot is 43 42B1"
"Charming community of Browntown . 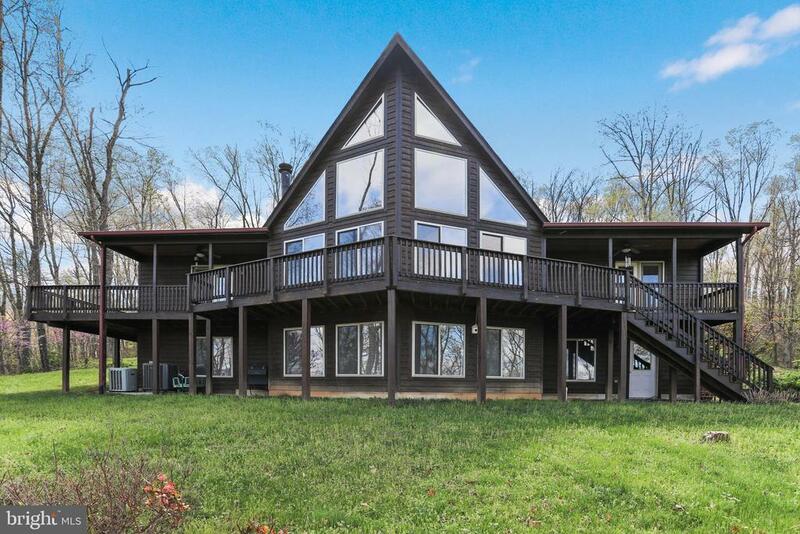 This home features 3.7 acres with mountain views. 4 bedrooms w/private baths. Great Room with stone fireplace and cathedral ceilings. Wonderful screened in porch with views of the mountains and 2 ponds. Whole house generator. Professional recording studio. Workshop and tons of storage! 2 car garage. Beautiful landscaping. So many features you must see for yourself!" 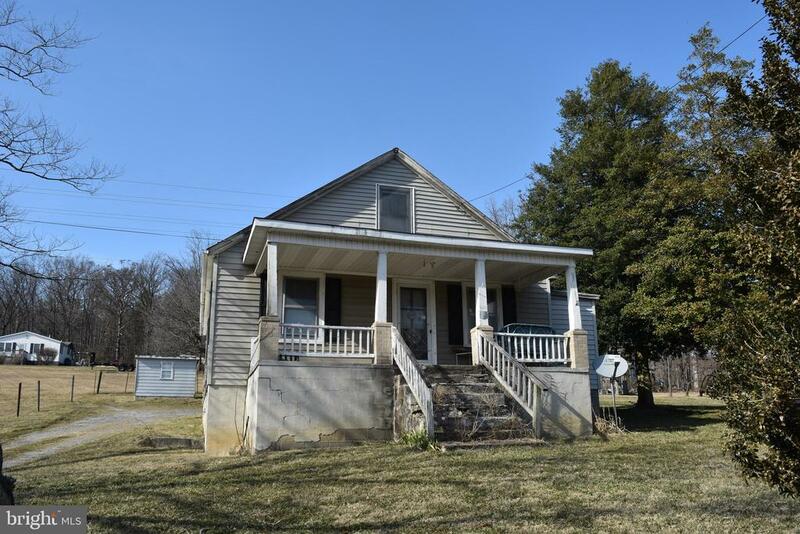 "Tons of house for the $$$$ 3 bedroom 2 full baths main level with great room that has cedar tongue and groove ceilings and stone fireplace to sit and enjoy the views and warm up by the fire. Basement has additional fireplace and another master suite! Tile showers in both master suites with large tubs. The wrap around deck is perfect for relaxing and listening to the stream and enjoying the pasture views." "Just Listed! Countryside Chalet set on 3.59 acres and~~~~~ 2,695 fin. sq. 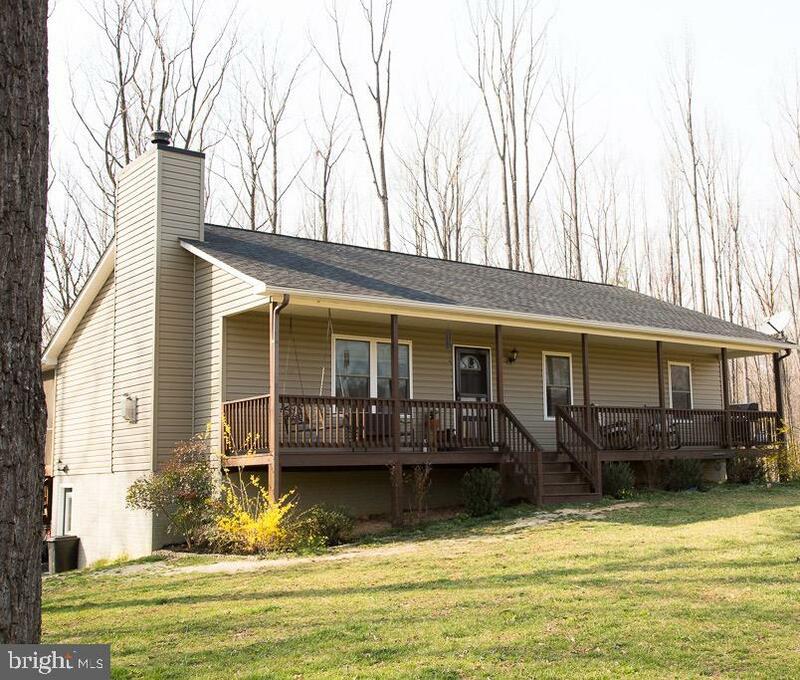 ft. with tons of windows and decks to enjoy Shenandoah Valley's natural beauty. Located in scenic Bentonville Va. is close to Skyline Drive, Shenandoah River Park and close to town for shopping and restaurants. Beautifully maintained home has completely repainted exterior including all decks and screened in porch. Interior features separate dining room, kitchen with loads of counterspace and finished lower level complete with 3rd full bath. Two tiered rear deck great for grilling and entertaining. 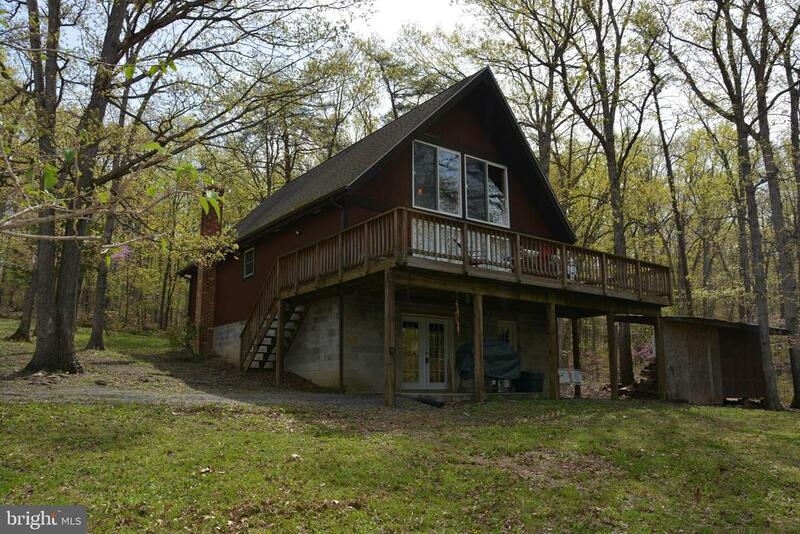 Wrapped front deck and screened in porch have amazing mountain and pastoral views - beauty, peace and quiet. Agricultural zoning with no HOA - bring your goats and donkeys! Come see this special home today!" "***PRICE REDUCTION*** Beautifully renovated church/schoolhouse makes this home one of a kind. Charm and character will captivate you with the love and quality craftsmanship that went into this home. Minutes from National park, hiking and river! Option for Main Level Living! Upper Level Master Suite is 800 sqft+spa like with jacuzzi tub where you can relax while listening to the babbling of Gooney Run. During the total renovations of this property, ALL new wiring, HVAC, plumbing, well and septic were installed." "Renovated Farm House, Overall Creek Frontage, 6 Acres, Bring The Farm Animals! Rich in Civil War History, This Home Takes You Back in Time. Gorgeous original wood flooring through out. Large master suite with dressing room, sitting room, large walk in closet and private bath. The additional upstairs beds share a full bath. Downstairs is a warm fireplace in the sitting room, a dining room, living room and country kitchen opening to the sun room. Private balcony is upstairs leading from the master bedroom. Covered front porch and rear patio for entertaining. Creek on the property with a deep area for wading. 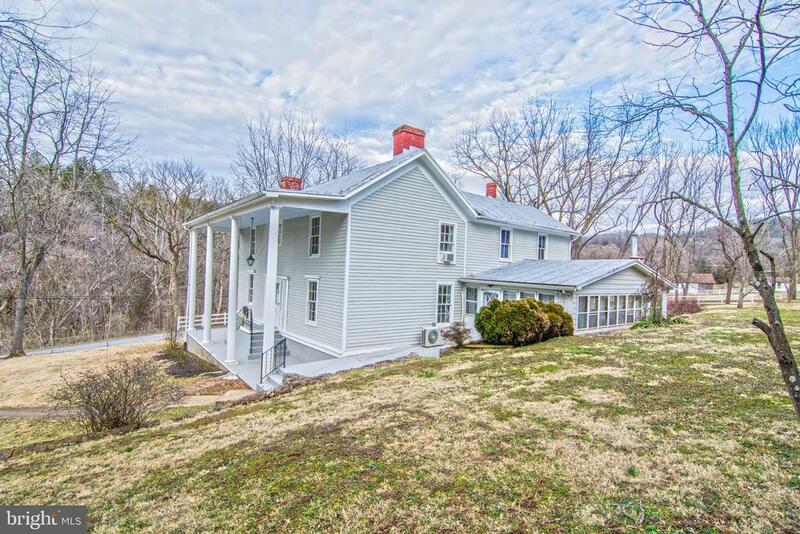 Property was used in the civil war, perfect for the history buffs. The charm is present throughout the home from the crown molding & enchanting fireplaces, to the original rich colored hard wood floors. The first & second level porches provide an outdoor retreat where we can sit quietly and hear to the creek ripple. The acreage includes the overall creek with a 3' deep wading pool that spills into the river which is a short distance. There are fenced fields for livestock to roam, a chicken coup for fresh brown eggs, and an outbuilding for lawn equipment. Located on state maintained paved road. 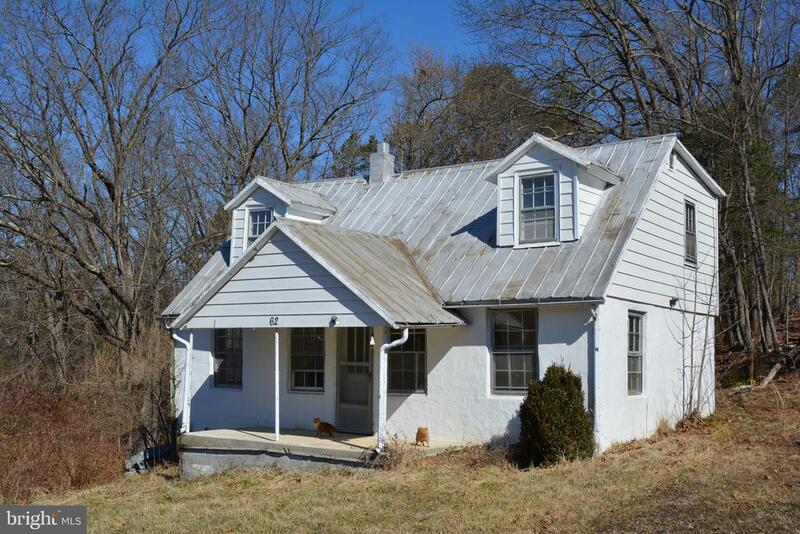 Brief History of 126 Overall Rd, Bentonville, VA 22610Present day Overall, VA was settled by John Overall in 1740 to look for silver and copper in the Shenandoah Valley. 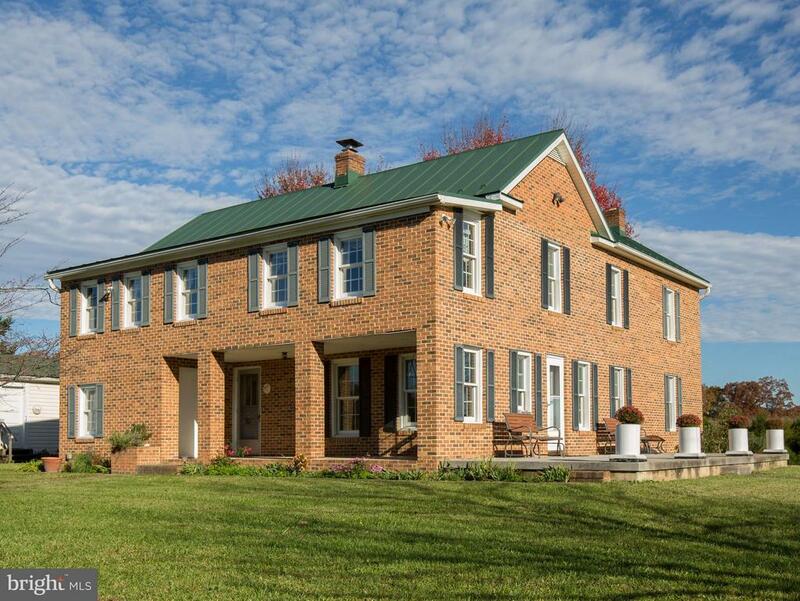 He cleared fields, built a plantation house (present day 126 Overall Rd), and married Maria Froman the granddaughter of one of the Valley~s original settlers Jost Hite (The Hite family built Belle Grove Plantation with the design assistance of Thomas Jefferson). In 1817 ~Milford~ was incorporated by Virginia at the junction of Overall Creek and the South Fork of the Shenandoah River. After the civil war ~Milford~ was renamed ~Overall~ In 1833, Isaac Overall the grandson of John Overall bought an additional 28,000 acres (44 square miles) that stretched from Bentonville south to Stanley in Page County and acr"
"A picture perfect country setting is the best way to describe this lovely home! Beautifully maintained offering 4 bedrooms and 3 full baths. Open living room, kitchen and dining room leading to private back deck. Generous master bedroom with walk-in closet, jacuzzi tub and separate shower. Fully finished walkout basement offers a fantastic family room with gas fireplace, an office and rec/billiard room. Entertainers delight! Huge storage room too! Main level laundry room, gleaming hardwood flooring. Newer energy efficient Pella windows and doors throughout. Paved driveway and over-sized 2 car garage. No HOA and zoned agricultural. Truly move in ready, homes like this just don't come on the market very often! Hurry before you miss your chance!" "This beautiful chalet is located down a private lane on 8+ acres. There have been many upgrades over the past couple of years, including a new architectural shingled roof, exterior staining, and parging concrete. The interior renovations are fabulous. The lower level is where you will enter. This living space features a gathering area centered around a free standing woodstove with a stone back-wall and walls covered with wide wood boards. The exposed beam ceiling adds to the rusticity. This space spills to a dining area and great kitchen space with an abundance of cabinetry with granite countertops. There is a breakfast bar and a brick wall with a smokestack (maybe install a pizza oven?). Also on this lower level is the laundry/utility room and a full bath. All flooring here covered in top grade laminate. Up to the next level, the great room has a vaulted ceiling with exposed beams and stained pine surface. The walls are also pine covered. Nearly all wall surfaces throughout the home are covered in exposed wood. The master bedroom is on this main level along with the master full bath. There is a second bedroom on off the great room. Up to the loft level is the 3rd bedroom. All bedrooms are newly carpeted. The home has a new heating/air system. Total finished square footage on the 3 levels is 2500 sq.ft. A spacious rear deck offers another great place to relax in privacy. The deck looks out over the wooded acreage. There are a few outbuildings. One is shelter for the wood used in the woodstove and fireplace. Another building measures 24 x 16 with electric, divided into two spaces. A third structure has a garage door, perfect for storing equipment and machinery (mower). New roofs have been installed on two of these sheds. There are a couple of acres around the house and outbuildings that is cleared. The rest of the land is wooded. Overall, the home and buildings are in great condition. The setting is priave. The property is less than 15 minutes "
"Zoned Agricultural 1.38 Acres Located on Paved Road. Fixer Upper One Level Living. 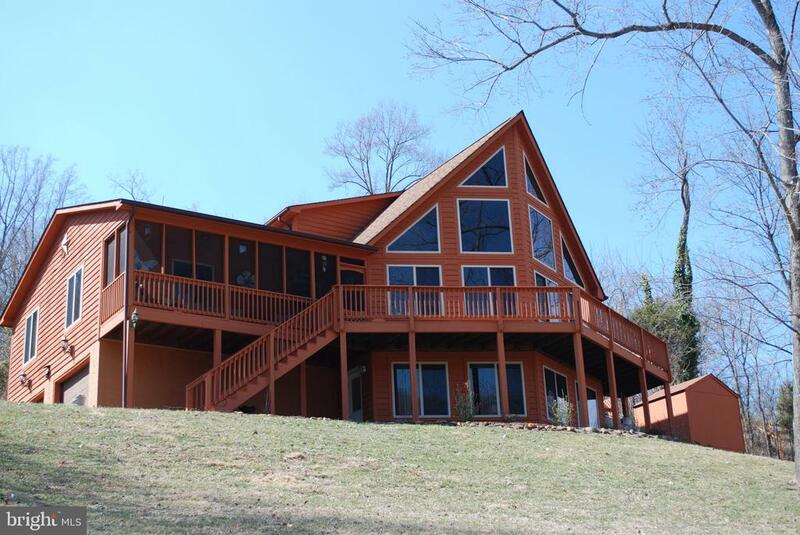 Minutes to Any Guest State Park, Shenandoah River, Skyline Drive. Full time living or weekend getaway." "The only thing missing is your imagination! 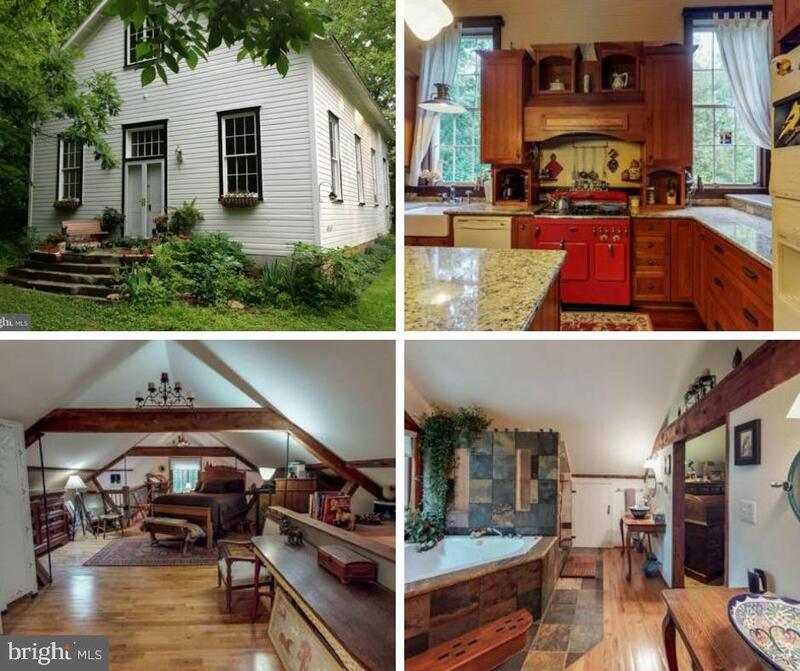 This charming cape cod is ready to be transformed into a delightful full time or vacation home. Situated in lovely Bentonville, VA, it's minutes from public river access and offers amazing views from both the front and rear porches. Inside you'll find hardwood floors in the dining room, family room , bedrooms and upper loft. This charming property has a great rear yard (backing to trees) and a furnace with duct work that is ready to be reinstalled. SELLER IS WILLING TO BE CREATIVE AND NEGOTIATE WORK DONE PRIOR TO CLOSING IF BUYER PREFERS or LENDER REQUIRES ! Call for details. Please note: power is off"